It seems to me that the bad-boy question of evolution that sneaks around the edges, and nobody seems to notice is what is an individual? Think about it: My definition of evolution is change in the distribution of a population due to the gain or loss of individuals. I use “individuals” as if that were a known and obvious entity. I am not alone in that. Futuyma defines evolution in terms of “individual organisms”. Other writers are less explicit, but the implication is that evolution is defined in terms of individuals, which are assumed to be organisms. Normally, our concept of what an individual is makes sense. That is, we see a human: that is an individual. We see an oak tree: that is an individual. As usual in biology, most of the time our intuition isn’t bad. Where it falls apart is when we get to the fuzzy edges. 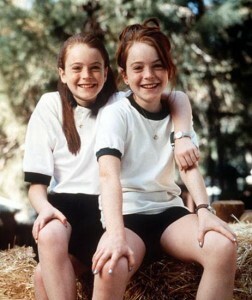 When we see two identical twins, are they one or two individuals? What about a stand of aspen trees (which clonally reproduce), or even worse, a huge fungus that covers 2,384 acres (http://www.scientificamerican.com/article/strange-but-true-largest-organism-is-fungus/)? So, at the macro level, we have the question of whether genetic identity is enough to make two things (twins, a cutting off of a plant) the same individual, or do they need to be physically connected. Either answer raises a bunch of issues. For example, if we only require genetic identity, then I can take a cutting of your Christmas cactus, and take it with me to the other side of the world, and they are still the same individual, even though they have absolutely no contact with each other. Similarly two identical twins would probably be at least slightly offended to learn that they were the same individual. The other possibility is also difficult. 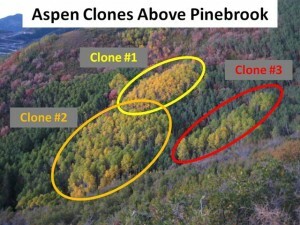 With aspen clones some ramets (individual trees) are connected, others may not be. Thus, we really cannot know how many individuals are present without excavating them. It becomes even more difficult if we consider the other side of the equation. That is, it is tempting to define an individual as perhaps a set of genetically identical cells of the same species, perhaps requiring them to be physically in contact, and physically separated from other sets of cells. This is a made up on the spot definition probably won’t satisfy anybody, but it is close to the intuitive notion. However, this definition has a host of problems. 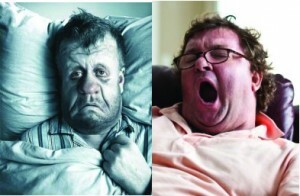 Starting at an issue that nobody will lose sleep over: are mitochondria part of the individual? Mitochondria are a symbiosis between two cells, presumably an Archea like host cell and a Bacteria like symbiont, that has coevolved to the point that we no longer consider them separate entities. Instead the coevolution is so complete that we consider them to be their own (synthetic?) kingdom Eukarya. The well established endosymbiotic theory of the origin Eukarya. (from http://www.nature.com/scitable/topicpage/eukaryotic-cells-14023963). That is something of a straw man argument, but consider that in our bodies well over half of the cells are not human cells. 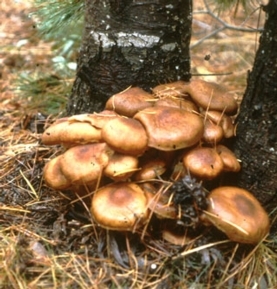 Included in that are some symbionts that are passed from parent to offspring at or before birth, some that are acquired through social interactions with family and other important people in our lives, and finally some are acquired from the environment (I mean “symbiont” in the classic sense that includes both mutualists and parasites). Importantly, some are life-time residents, such as much of our gut fauna, and intra-cellular parasites, and others, such as pathogens, are temporary visitors using our bodies as environments in which to breed. In short, it seems that the boundaries of what is an individual, or even an organism start to become fuzzy when we start poking at the edges. We should hardly be surprised by this. After all, one of the hot topics in biology has been the issue of “major transitions”, which, for example, Maynard-Smith felt was sufficiently important that it deserved to be the subject of one of his last books, and (shameless self plug here) there has been a recent a volume on evolution and emerging individuality edited by Bouchard and Huneman. If individual cells evolved for group living, then eventually became an “individual” then we should expect our concept of individuality and organismality to be difficult, this is simply the nature of biology. A final issue that we have to consider is that if that transition from groups to individuals is actually took place in the past, we should be seeing that occurring in the present as well. This goes both directions. Going downward, when should we consider a cell in a metazoan to be an individual? And going upward, when should we think of colonies of insects as individuals? Should we ever consider herds of mammals, or communities of humans as individuals? There are a lot of questions surrounding what we mean by an “individual”, however, interestingly, we have a good intuitive notion about what an individual is. Consider the example I use in my chapter in the Bouchard and Huneman book in which I imagine two people, one who is in bed because they have the flu, and one who is in bed because they don’t feel like getting up. The first person we might excuse because they are sick with the flu, and we do not assign blame to them, since they are “sick”. We might label the second as being “lazy”, and blame them for their failure to get up, or in other words, we assign the choice not to get out of bed to them as an individual. In thefirst case we assign blame to the disease, and absolve the individual, in the second we assign blame directly to the individual. In both cases the outcome is the same: The person stayed in bed. The question becomes why is laziness a property of the individual in the second case, but not the first? I think that the phenotypic perspective, and multilevel selection have a lot to say about this question, and it is something I will be exploring in the next week or two. This entry was posted on Wednesday, September 10th, 2014 at 9:03 am and is filed under Uncategorized. You can follow any responses to this entry through the RSS 2.0 feed. You can leave a response, or trackback from your own site. Thanks for the kind words. I am more than happy to have this republished with appropriate acknowledgment either in its original form or after I have modified it to fit their format. I bet if you assembled this entire series into one long form piece, Aeon would be interested in republishing it. This is a trackback that I am including mostly so posts from this site are approved in the future. I also recommend visiting the ecologicablog.